I recently wrote how to save money in the run up to Christmas and briefly touched on using the Black Friday sales. Using a website such as MyVoucherCodes can help you get further discounts on the already reduced Black Friday prices. In the lead up to Black Friday, the MVC Savvy Squad has been dedicated to searching the web to find and bring you only the best Black Friday vouchers and offers. Joining loyalty clubs is an easy way of gaining points to spend. The Boots Parenting Club is my favourite as you get 10 points for every £1 you spend on baby products which soon add up. I save throughout the year and then they can be used for extra treats at Christmas time. The regular Boots Advantage Card gives you 4 points for every £1. There is also an Over 60s Club that gives 10 points per £1 spent on Boots branded products. I also use cashback sites for my shopping to earn cashback on what I buy, my favourite is Top Cashback. I get my cashback paid onto my Love2shop card as it earns me an extra 6% on my payout. There is also Quidco for cashback. When there isn’t any cashback available on those for a certain store I check KidStart, KidStart pays cashback into a nominated childrens savings account. Get organised, write down what you want and a RRP for it so you can stick to what you went shopping for, especially if you are going instore and can easily get carried away with seeing bargains and other shoppers going mad for something. Writing down the RRP also ensures that you are actually getting it at a good price and not being tricked into paying more. I love points cards for saving for Christmas too. The Boots one and Sainsbury’s ones are my favourites. Great tips. I might be looking for winter gear in the sales as we are now off to Italy for a ski trip. Big fans of MyVoucherCodes too. 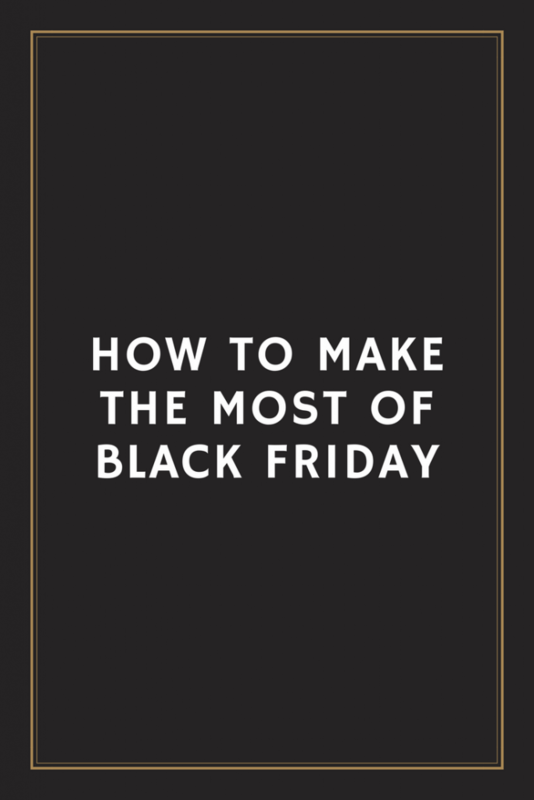 These are some great tips, I have to admit I’m going to miss most of Black Friday, but I might have to try and check it out a bit and see if I can grab some bargains. I agree that it is very easy to get carried away when shopping. Great tips! Black Friday is one of the most awaited by many. I love shopping as there are so many good deals and discounts! I love earning points too! Amazing, thanks so much for this! I think this is such a huge success – Black Friday because, err HELLO Christmas around the corner and amazing savings to be had!! Great advice and i love collecting points in stores. Its not like it use to be though with tesco clubcard points – they use to give away loads! those are some great tips. I too buy things on boxing day for the next year!